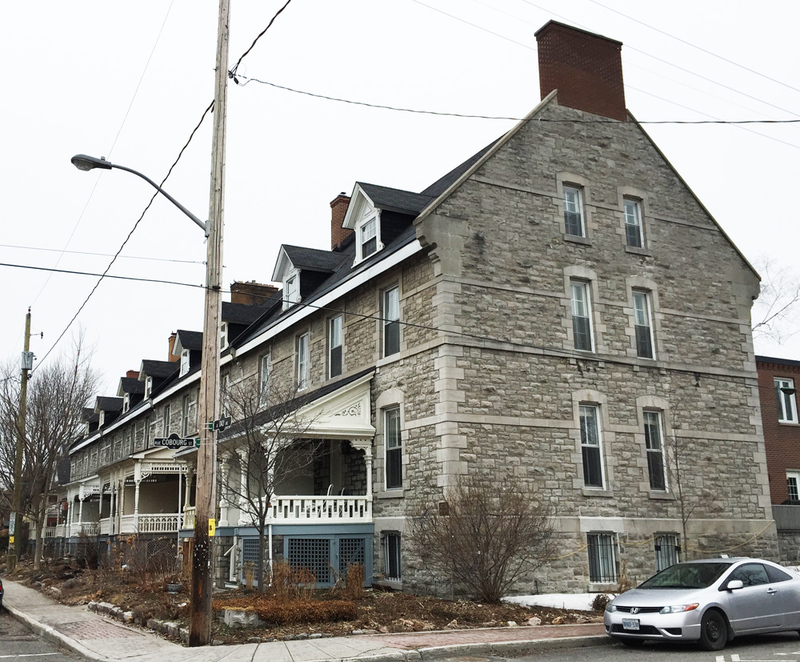 There’s a sugar shack in Ottawa, thanks to a group of intrepid monks who preserved and tapped the many trees found within Vanier’s Richelieu Park, once the property of their monastic order. 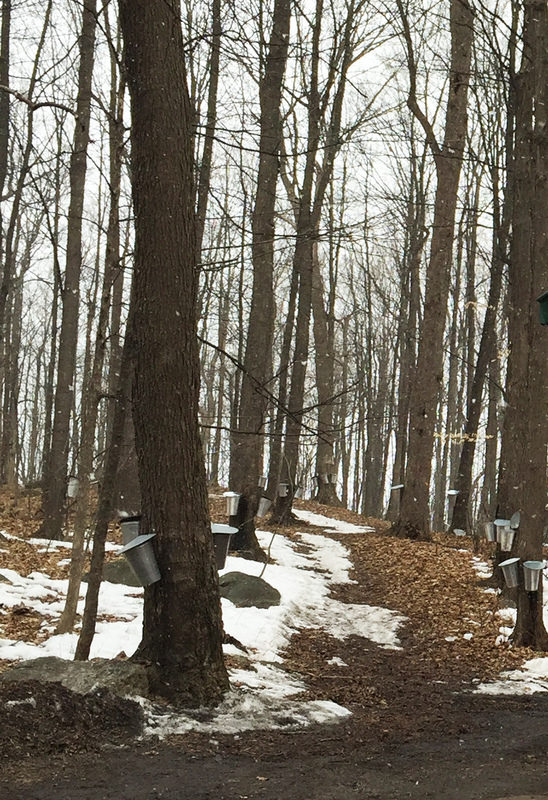 The Brothers left in the 1970’s but maple syrup continues to be prepared on site each Spring. 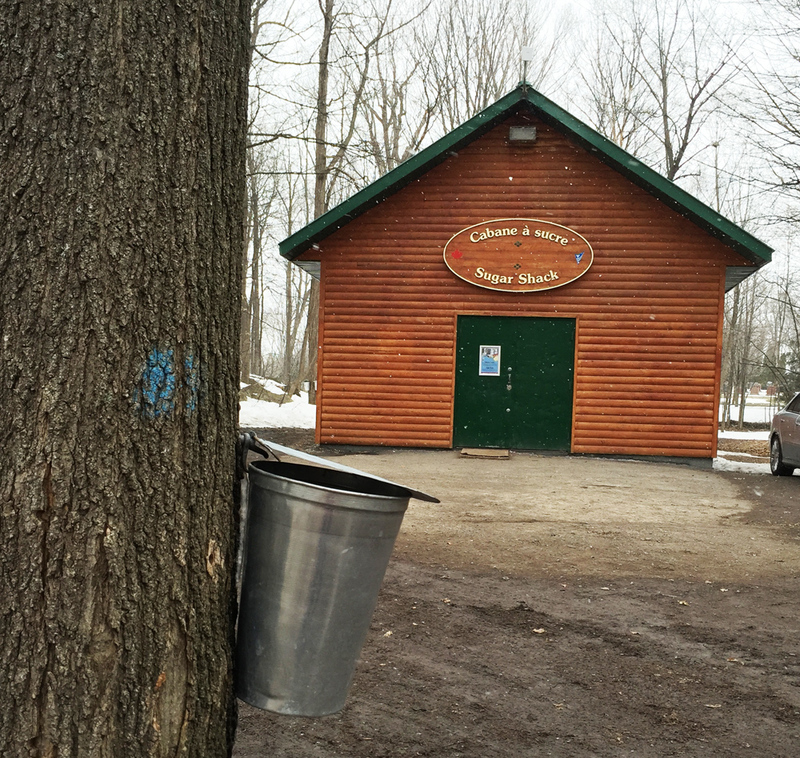 The sugar shack is open to the public on weekends throughout the months of March and April. 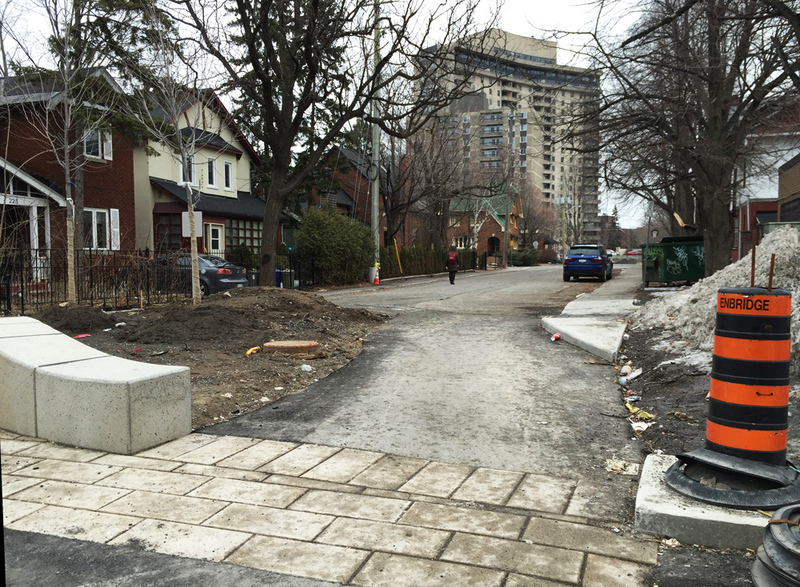 It’s so close to Centretown you can easily bike there. So I did. The blue line on the map below is the route I rode, purple lines are slight alterations I took on the way back. Our adventure begins at the western most point of the Laurier Bike Lane where Laurier crosses Bronson. I followed the bike lane all the way downtown to City Hall. 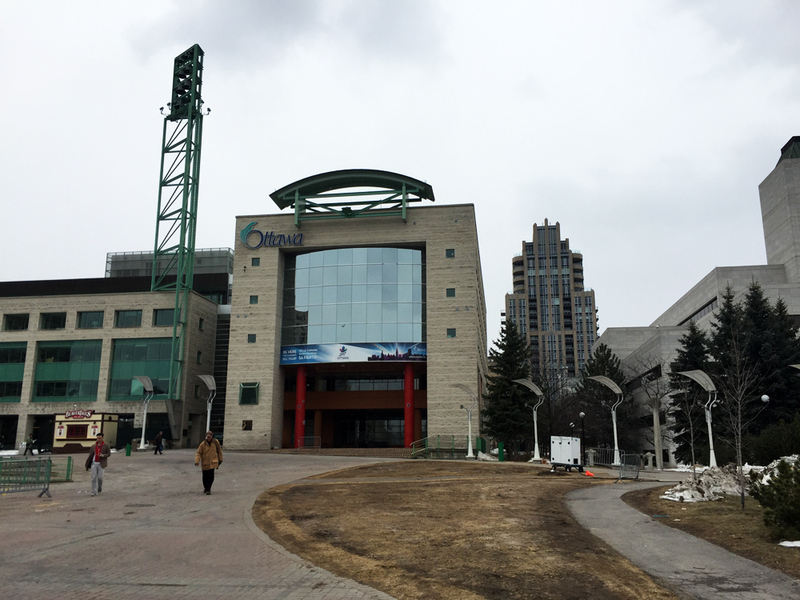 There I turned right on to the plaza and followed the path on the west side of City Hall through to Cartier St. I followed Cartier St for a block, then turned left onto one-way Cooper St, and continued along until Somerset St. Immediately left on Somerset there’s a traffic light across Queen Elizabeth Drive to the pedestrian/bike bridge over the Rideau Canal. 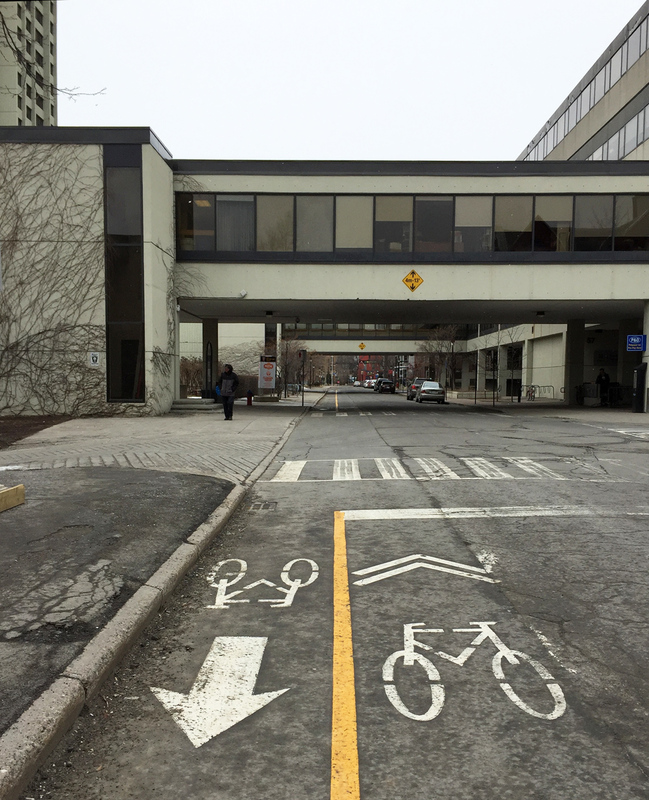 Another signalized crosswalk at Colonel By Drive led me to the bike lanes under Nicholas St and up to the University of Ottawa campus. The first street on the left through the campus has a contra-flow bike lane combined with painted sharrow markings pointing in the direction of traffic, which directed me along a network of quiet streets northwardly through campus. I turned left on to University Private abandoning the lane+sharrow combo, and then turned right on Cumberland St. There’s a bike lane to follow along Cumberland once across the signalized Laurier Ave E intersection. 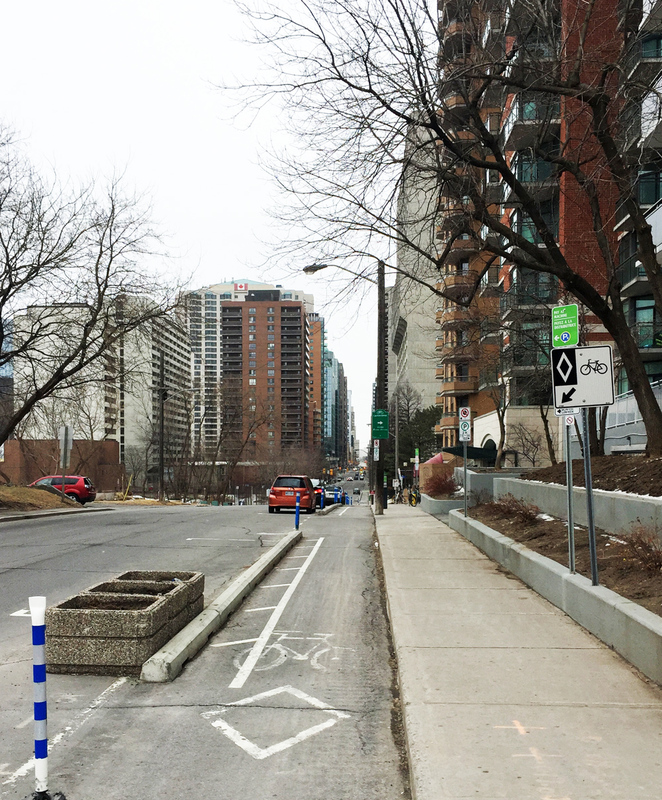 I then turned right on to the bike lane along Wilbrod St, that heads east through Sandy Hill. Left on Cobourg then right on Daly brought me to the intersection at Charlotte and Daly. Unfortunately there isn’t a cross signal to get across Charlotte, which can get busy as it’s a popular link between Rideau Street to get to Laurier Avenue. Fortunately I didn’t have to wait long for a opening to get across. Straight through on Daly, left on Wurtemburg St then right on Besserer which brought me to a very nice recently introduced winding paved path through Besserer Park down to the Cummings Bridge. 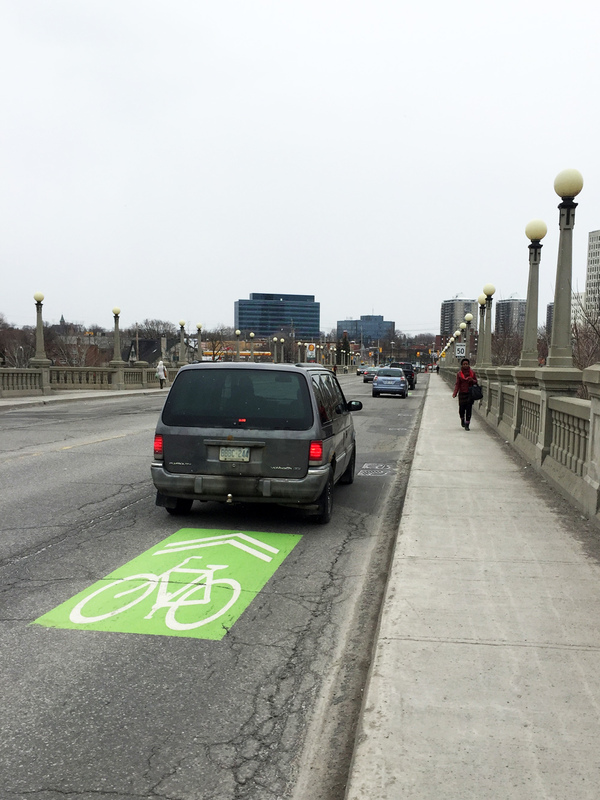 Heading east across the bridge over the Rideau River, there are painted sharrows in green boxes along the inside lane. Traffic moves very fast across this bridge. Along busy traffic arteries such as this one, no matter how you dress them up, sharrows are the most useless form of bike accommodation imaginable. Worse than useless, they are dangerous, because they falsely suggest to riders that they are designated safe routes when drivers ignore them because they can. I walked my bike along the sidewalk. Once arrived on the other side of the bridge I crossed at the intersection and headed north along North River Road. 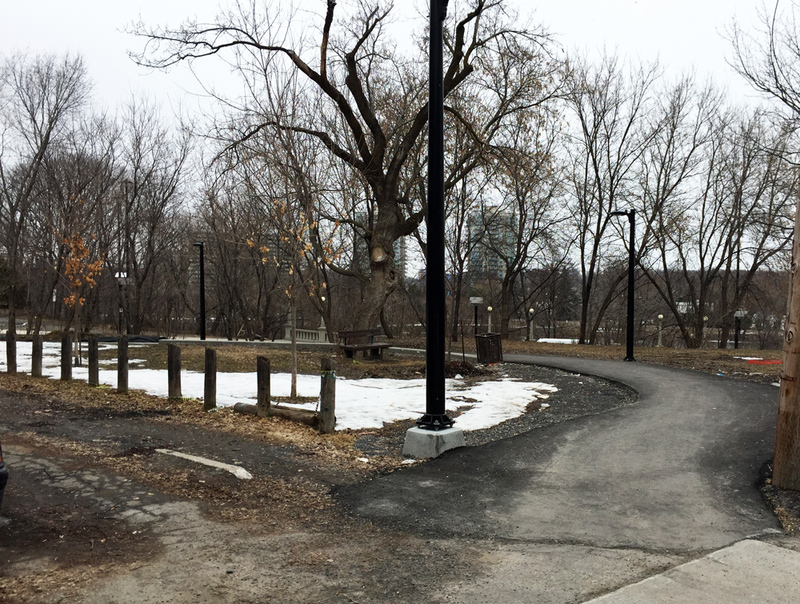 Turned right onto Coupal where, at it’s eastern extremity, there is a short path to the Vanier Parkway. 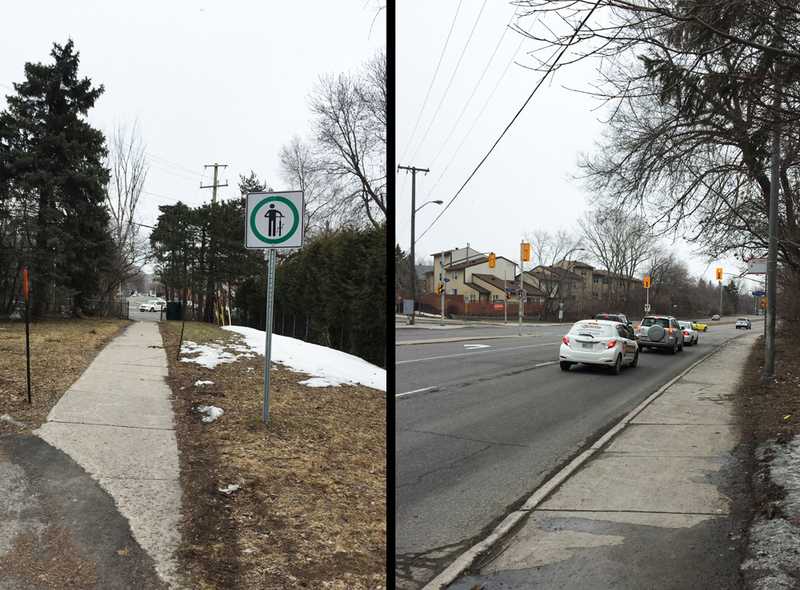 A few more yards along the sidewalk brings you to a crosswalk. I then wove my way along calm streets through Vanier, as per the above map, to Pères-Blancs Avenue that leads up towards Richelieu Park. 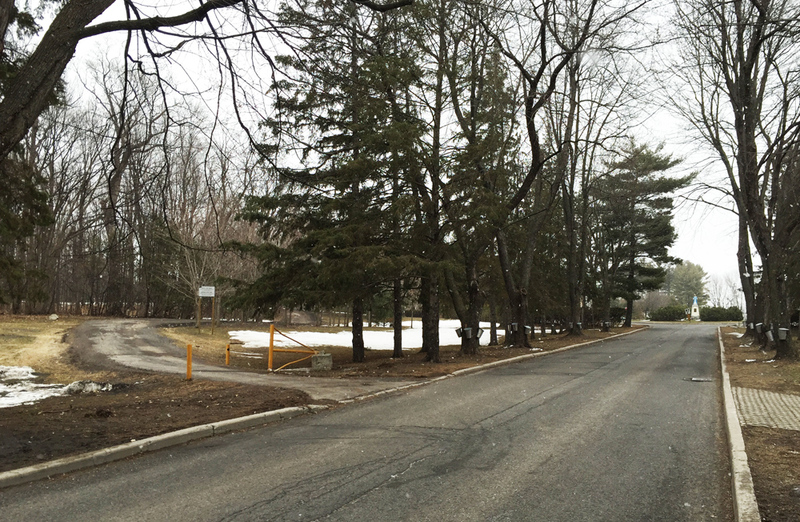 A short distance inside the old gates to the park there is a path to the left that leads to the sugar shack. This season I rode there on a quiet holiday Monday morning when the shack was closed, however in previous years I’ve visited on weekends when it is open to the public and the boilers are in full operation. On the way back I re-traced my treads as far as Cummings Bridge. 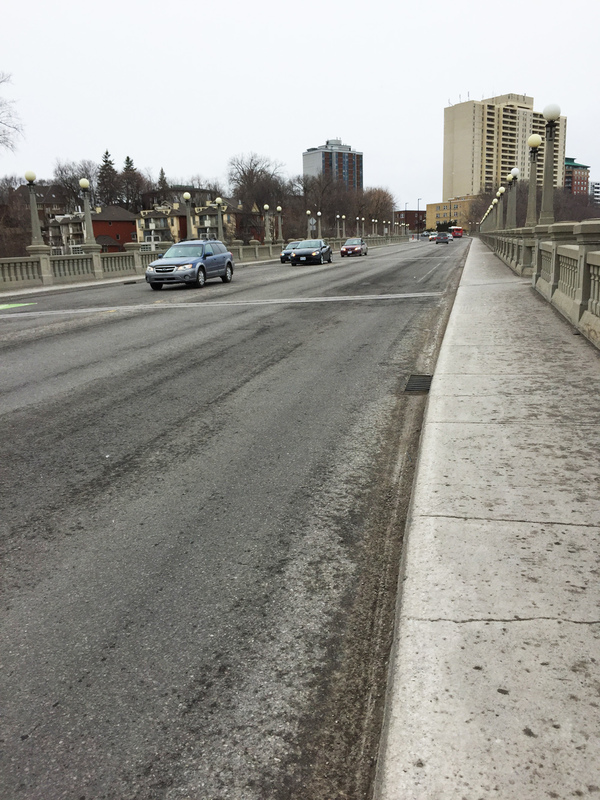 There is a bike lane heading west over this busy pont, however the lane marking is completely worn off at the eastern end of the bridge and barely visible the rest of the way across. The bike lane disappears completely once arrived on the other side of the bridge. That’s because Rideau St was paved late last season and the line has yet to be re-painted. Until then I recommend returning the same way I came by walking along the opposite side walk and riding up the nice new path to Besserer St. Once the westward bike lane is re-painted, there’s a nice new path link on the south side of Rideau St across the intersection that links to Wurtemburg St, like so. Stewart St is a one way with a bike lane heading west through Sandy Hill with a number of old architectural gems like this. 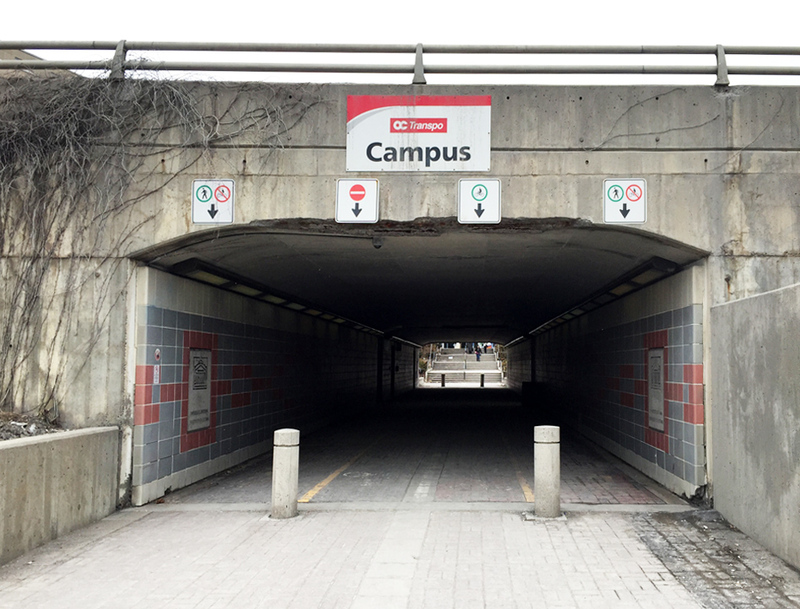 I turned left on Cumberland and wove my way through back the Ottawa U campus. 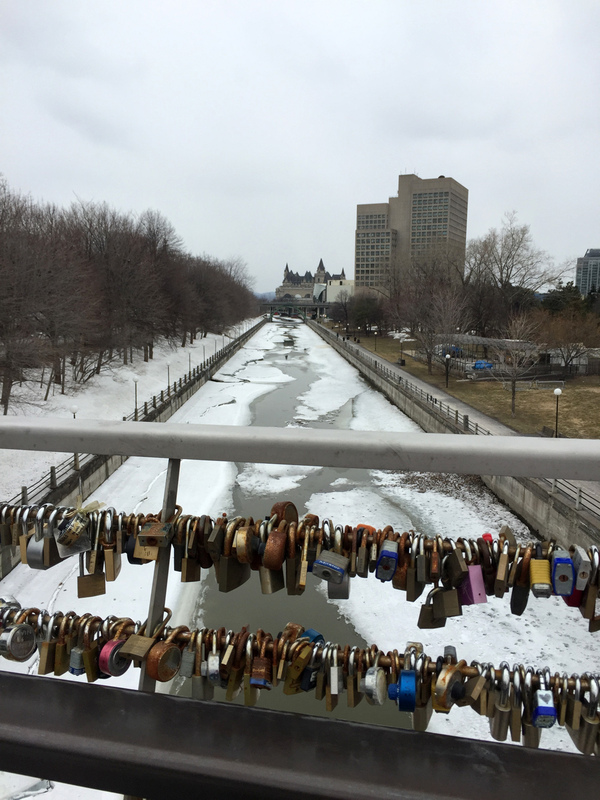 On the west side of the pedestrian bridge I turned right on to the Rideau Canal Western Pathway and cut through Confederation Park to get to the Laurier Bike Lane.